Love this outfit! The sweater is perfect! You already had me with the natural wave hair and that leopard print sweater, but then I scrolled down to those LEGS (insert cartoon wolf's eyes popping out with a big ol' howl)! Aren't you so happy is shorts sans tights weather again? 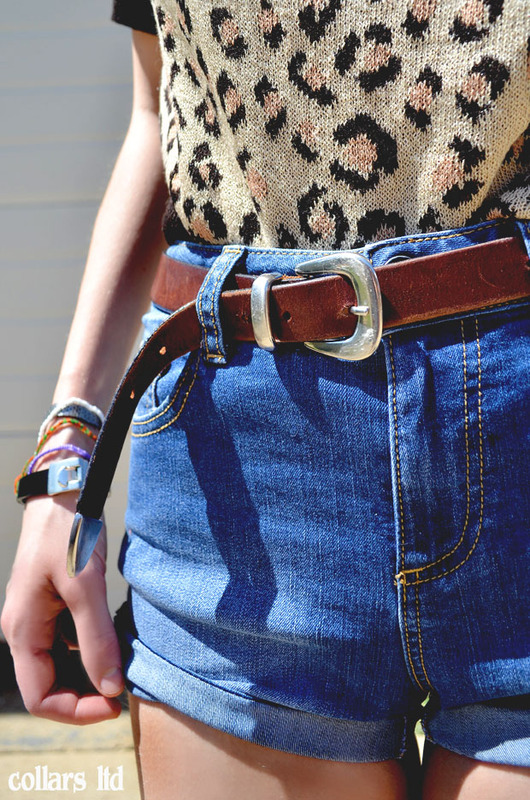 the knited leopard top is totally fun! those booties are off the chain. beginning to see animal print slipping into your looks.